Bulgarian Properties for Sale. Bulgarian Estate Agents. Our website - Bulgarian Estate Agent offers various properties in Bulgaria - apartments, houses, forest, hotels, plots of land - regulated and agricultural, holiday homes,industrial buildings etc. We offer for purchase estates in various municipalities and resorts - Stara Zagora, Kostenec, Plovdiv, Varna, Veliko Tarnovo, Lovech, Silistra, Bourgas, Topolovgrad, Troyan, Voneshta Voda, Borovets, Pamporovo, Bansko, Sunny Beach, Elena, Targovishte, Osenovo etc. ● provide Property Management to the new owners. Our website is updated daily with the hottest offers on Bulgarian property market. We are an integral part of the international property market and provide information about the current economic situation in Bulgaria. Our web site is free of unnecessary information and endeavors to focus client's attention on Bulgaria and Bulgarian properties. 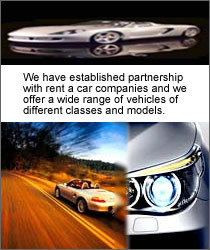 Many of our offers are commission free. "To make the clients happy is our motivation to work !" This 2-bedroom house is located in a picturesque village, 6 km from local admin center Nova Zagora, 42 km from the district center Sliven, just 13 km from the beautiful Zhrebchevo Dam and Aglica Palace complex and 10 km for Angelus Estate winery.